The Mellman Group has played an important role in the development of an innovative method of testing the effectiveness of advertising before spots are aired. Media-PULSE Analysis © combines the best aspects of qualitative and quantitative research into a flexible program that is designed to aid rather than control the creative process. 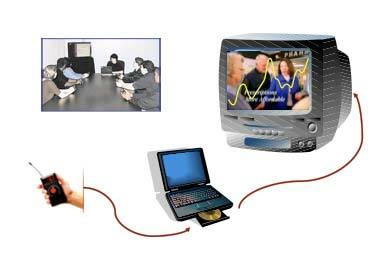 Media-PULSE Analysis © combines written, oral, and electronic data collection to capture structured, as well as unstructured, responses. Some aspects of the process resemble a typical focus group; others are quite unique and high-tech. The complementary research techniques converge to form a rich, multi-dimensional understanding of the effects of the advertisements on the target audience. Media-PULSE Analysis © is not a search for a magic number, or score that determines whether a spot gets a passing or failing grade. While the results can be used to determine which of several spots to air, more importantly, this research can be used to improve and sharpen a single spot or an overall communication strategy. Our approach to this type of research is always flexible and custom-tailored. For one client, we prepared nine story board animatics. The results were clear. The creative writers, the management team, and the research team all had confidence that the group had picked the best four spots for production. For other clients we have used Media-PULSE Analysis © to evaluate and improve finished spots. In some cases, particularly effective images can be taken from relatively weak spots and reworked into stronger, more engaging advertising. The key is always to work with our clients to design each session around their specific goals. Lifestyle cluster targeting helps our clients increase the efficiency of mobilization efforts. Simple poll analysis provides an initial look at key target groups. However, these data tend to be uni- or bi-variate. Such analysis is instructive, as far as it goes, but is limited to looking at broadly defined groups, like older women and younger men. While this is a standard practice for most polling firms, we have worked to push the effectiveness of our targeting to a new level. People tend to live near others like themselves. Based on this basic insight, marketers have divided the country into some 60 lifestyle clusters at a block group level. Using the data from our surveys, we can identify which clusters are most likely to contain our targets. This method allows us to identify those neighborhood types that present the most target-rich environments. From there, the appropriate Census units can be selected from the voter file. In a California anti-voucher campaign, for example, about 20% of the electorate fell into our target group and no simple cross-tab (e.g. younger women) yielded more than 25% in the target group. However, our lifestyle targeting yielded clusters that were 2-5 times more likely to fall into our target. Voters in these clusters were then called as part of our phone/mail program. At The Mellman Group, we pride ourselves on innovation in the field of public opinion research. Over the years, we have pioneered a number of techniques that are now in common use in this field. Now, the growth of the Internet brings new opportunities for innovation. One successful, Web-based research technique we suggest is Online Ad Testing. While MPA’s allow for a more personalized experience, followed by breakout sessions, Online Ad Testing allows us to access hundreds of potential voters, have them watch the ads, and gather their opinions in just a matter of days. Of course, the Web does not provide random samples and should not be used in place of traditional quantitative methods; however, with Internet usage now well over 50% among voters, this web-based technique is an effective vehicle for qualitative research.